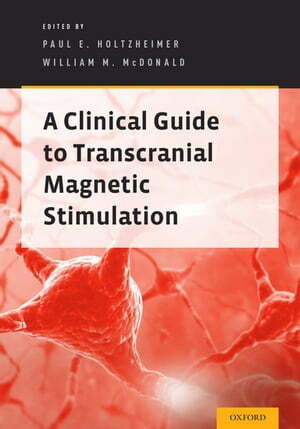 Collins Booksellers - A Clinical Guide to Transcranial Magnetic Stimulation by Paul E. Holtzheimer & William McDonald, 9780199368501. Buy this book online. The Clinical Guide serves as a reference tool for clinicians in the administration of transcranial magnetic stimulation (TMS) for neuropsychiatric disorders. The primary intent of this Guide is to focus on the clinical applications of TMS and to offer detailed information on the safe and effective administration of TMS with consideration of the neurophysiological effects particularly in relation to safety, targeting specific cortical areas and practical issues such as the length of treatment sessions and the durability of the TMS response. The Guide focuses on the evidenced based literature and utilizes this literature to inform specific recommendations on the use of rTMS in a clinical setting. The efficacy and safety of TMS for neuropsychiatric disorders, including its use in special populations, such as the elderly, will be reviewed to facilitate clinical decision-making. The Guide will also outline setting up a TMS service including practical issues such as considerations for the qualifications of the person administering the treatment, the use of concomitant medications, what equipment is necessary to have in the treatment room and monitoring the outcomes to treatment. The Guide is intended to be a practical reference for the practicing clinician in the safe and effective administration of TMS.